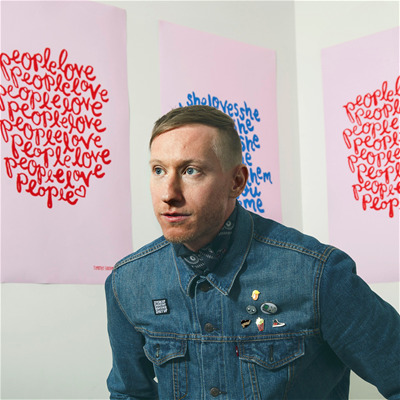 Timothy Goodman's art and words have populated walls, buildings, products, cars, people, shoes, clothing, book jackets, magazine covers and galleries all over the world. His clients include Apple, Google, Samsung, Uniqlo, Tiffany & Co., Target, Airbnb, Netflix, West Elm, The New Yorker and The New York Times. He has received awards from most major design & illustration publications. He's the author of Sharpie Art Workshop and the co-creator of the blog and book 40 Days of Dating–whose film rights were optioned to Warner Bros. His global collection of clothing at Uniqlo sold out in 7 months. He teaches at SVA in NYC.